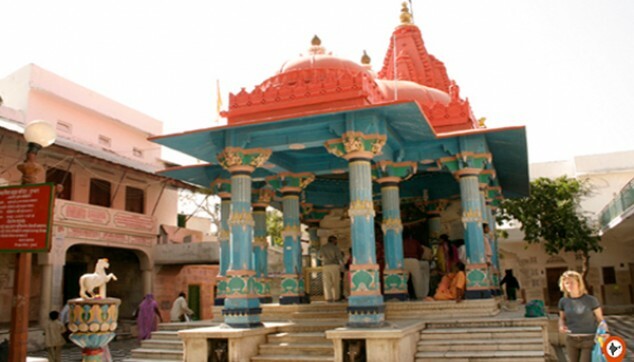 Encapsulated by numerous milky-blue temples, Pushkar is a prominent Hindu pilgrimage site. The soundtrack of chanting, drums, gongs and devotional songs fills the air surrounding Pushkar. This Jaipur Pushkar Day Trip will take you to the wonderful Brahma temple, the world’s only temple dedicated to Lord Brahma. The temple is made of marble and adorned with silver coins with a sun statue standing at the gate of the temple. 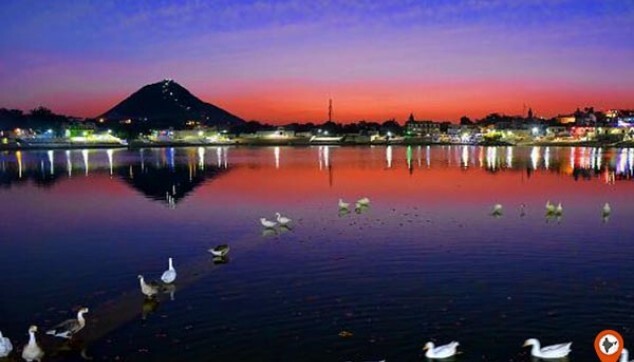 On this Pushkar Day Trip from Jaipur you will also see the Pushkar lake. It is said that the lake got manifested when Brahma dropped a lotus flower. Post this, you will head towards a colorful bazaar in Pushkar. The tour also includes a delicious lunch at a local restaurant in the town. Explore the marvel of Brahma temple. 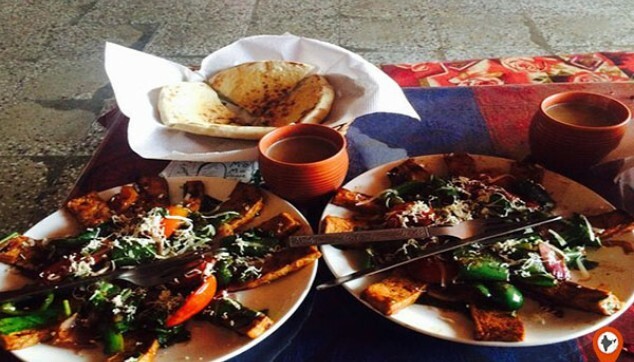 Indian cuisine at a local restaurant in Pushkar awaits you. Explore the vibrant market of Pushkar. At 8:00 am, Jaipur To Pushkar One Day Trip will begin. Our guide will receive you from the hotel in Jaipur. You would take a short drive of around 3 to 4 hours to reach Pushkar, one of the oldest cities of India. On arrival visit the magnificent Brahma Temple, a beautiful temple made of marble which is adorned beautifully with silver coins. The special thing about this temple is that it is the world’s only temple dedicated to Lord Brahma. The red spire and the image of the swan are the symbols helping you identify the temple. The inner shrine houses chaturmukhi (four-faced) idol. The temple is guarded by a marble statue of the Sun God that stands strongly at the gate of the temple. The interesting part of this temple is that while all Gods are shown barefooted. Surya is wearing ancient boots. After taking the blessings of Lord Brahma, head towards a local restaurant wherein you can entice your taste buds with delicious Indian cuisine. After this, move to the Pushkar Lake yet another attraction of the town. It has great spiritual relevance. It is said that the lake came into existence when Brahma dropped a lotus flower. Many pilgrims visit this lake to take a bath in the holy water of this lake. Amidst the religious scenes, head to the main bazaars of Pushkar for some shopping. Post this, you will be transferred back to your hotel in Jaipur. English speaking local guide during Pushkar sightseeing. Lunch at local restaurant in Pushkar. Visit this place if you have enthusiasm to learn about the religion of India. This place offers nothing but religious insight. It will make you feel good if you are inclined to such practices. The temple visit was peaceful, exploring the Hindu culture always interests me. The Indian food will put your taste buds on fire but is equally delicious. I am starting to love it now. It was a good trip.